Hong Kong Gold Medal Seafood Hot Pot is an authentic Hong Kong-style hot pot specialist located in the heart of Macau. 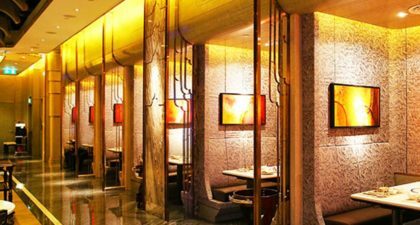 This enormous, brightly-lit restaurant features high ceilings and serves up a wide range of hot pots and other delicacies, including made-to-order sashimi. For its hot pots, the premium journey starts off with the selection of unique soup base, such as its signature premium beef broth. Other must-try dishes include the Crab Roe Dumplings and the Wagyu Beef. Luxurious private dining rooms are also available for bigger groups or guests seeking a more intimate dining experience.